Tohoshinki LIVE TOUR 2018 ～TOMORROW～ Special broadcast on WOWOW Live! 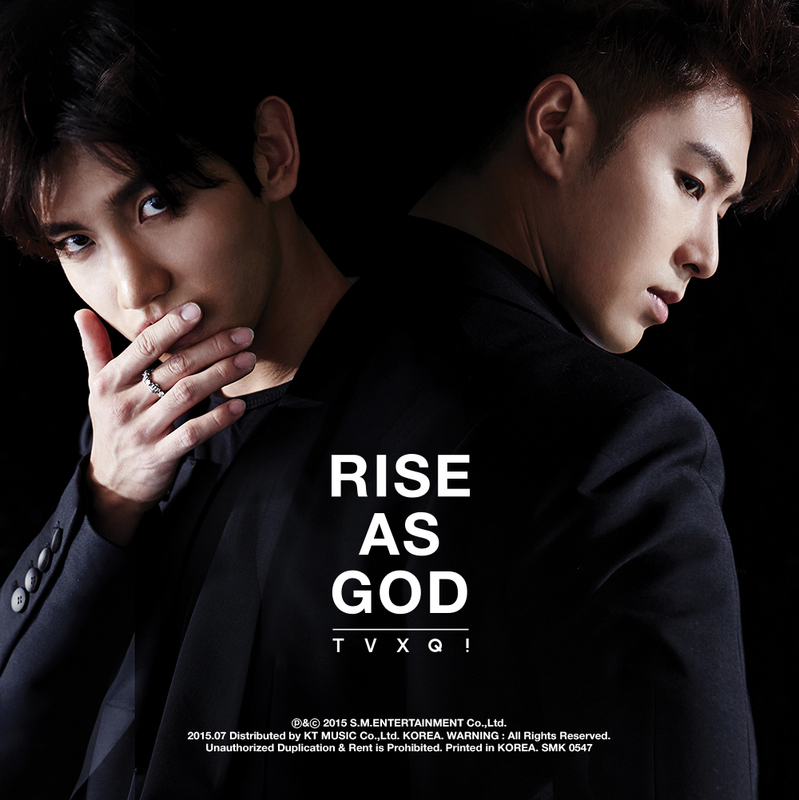 Tagged Tohoshinki, TOMORROW Tour, TOMORROW Tour: Kyocera Dome Osaka, TVXQ! 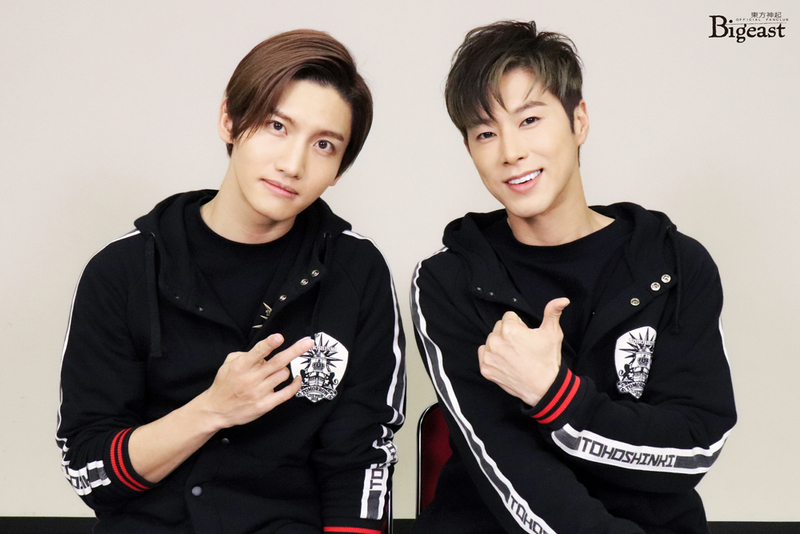 Tagged Cassiopeia, TOMORROW Tour, TOMORROW Tour: Kyocera Dome Osaka, TVXQ! [VID] 181216 Bigeast Staff Report: 「東方神起 LIVE TOUR 2018 ～TOMORROW～」 Kyocera Dome Osaka First Two Days Finished Successfully, to Come Back Next Year! 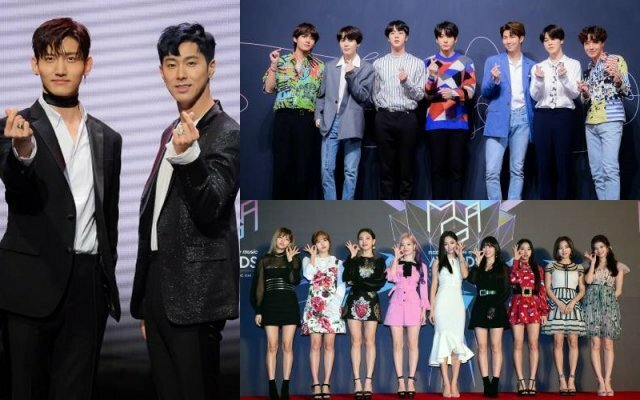 [Trans] 181212 #TVXQ, 1.28 Million Concert-goer Mobilisation (JPN) Ranks 1st.. 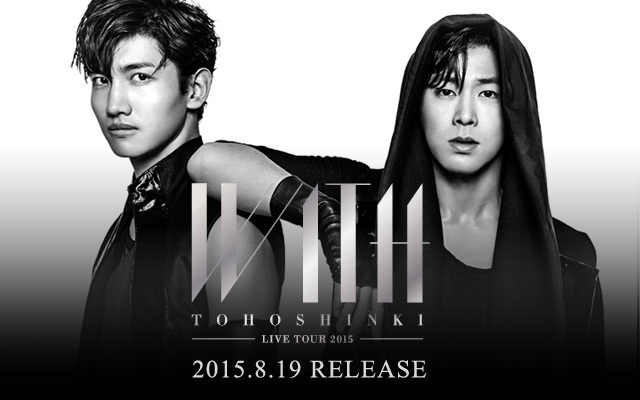 Tagged Records/Achievements, Tohoshinki, TOMORROW Tour, TVXQ! [PIC] 181204 Bigeast Staff Report: 「東方神起 LIVE TOUR 2018 ～TOMORROW～」 Dome Performances Started with Tokyo Dome! The dome performances of 『Tohoshinki LIVE TOUR 2018～TOMORROW～』have started! [Compilation] 181204 東方神起 LIVE TOUR 2018～ TOMORROW ～ at Tokyo Dome! The second day (and last for this week) of『Tohoshinki LIVE TOUR 2018～TOMORROW～』at Tokyo Dome! Concert started at 18:06 and finished at 21:16 [cr: @anywhere4you]. Encore tshirts were white. The moshi moshi and T corners were featured this day, and they listened to a cute child saying “moshi moshi Juno?”, who was the same one previously recorded the “moshi moshi Tanmin?”! then the two introduced themselves cutely as Tohoshinki’s Tanmin and Juno > w < (video below)!! They sang a little of R. Kelly’s “I believe I can fly” on one of the photos (audio below)! 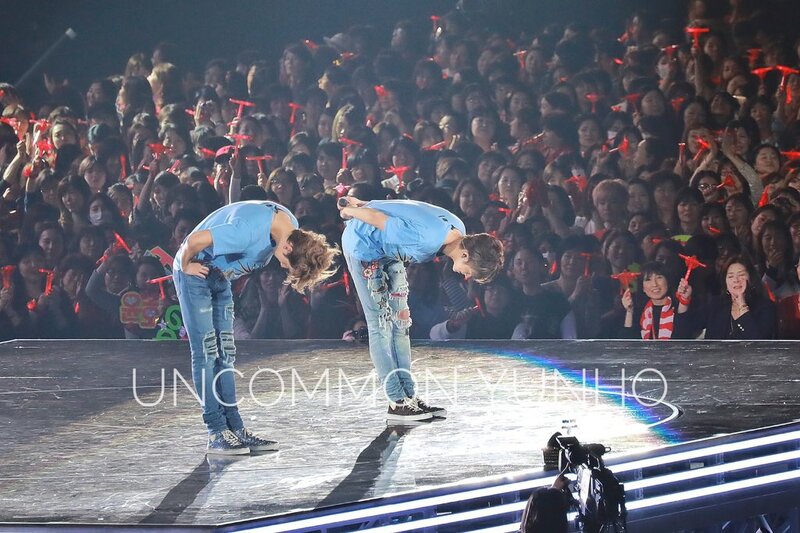 During the T corner too Yunho went backstage briefly to fix his earpiece after whispering to Changmin about it, and a fan appreciated how smoothly they deal with such situations [cr: @raccowa]. During Road, Changmin forgot to sing some lyrics which he realised immediately and cutely pointed at himself mouthing “it was me” (probably he missed it because he thought it was not his part XD) [cr: @MM7608 and @_changmin_218]! 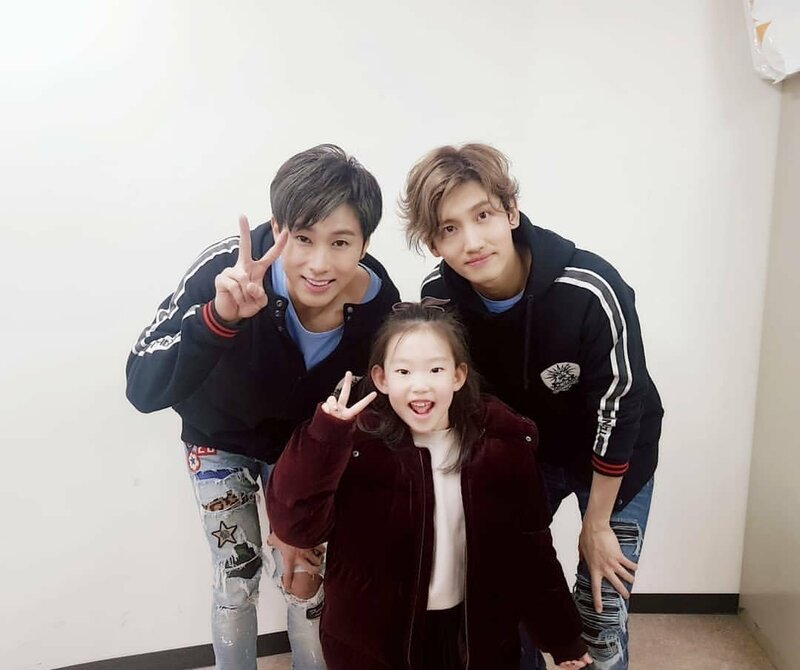 During MC when Yunho praised Changmin’s muscles, Changmin also said Yunho’s are amazing “so one day..” which Yunho repeated!….. so maybe one day he will show it to us too? *_* [cr: @panee0202]! [Compilation] 181203 東方神起 LIVE TOUR 2018～ TOMORROW ～ at Tokyo Dome! The dome concerts started with the first day of『Tohoshinki LIVE TOUR 2018～TOMORROW～』at Tokyo Dome! Concert started at 18:05 and finished at 21:13 [cr: @anywhere4you]. Encore tshirts were blue. Domes = Special stages!! They added 5 songs (in green) which includes Make a Change, Yunho’s Burning Down, Changmin’s In a Different Life, High Time, 大好きだった (Daisukidatta), as well as a new VCR(?)! They also changed the encore songs order (in yellow), making the dome set list a total of 27 songs! Only Sakuramichi was deleted from the Arena setlist. 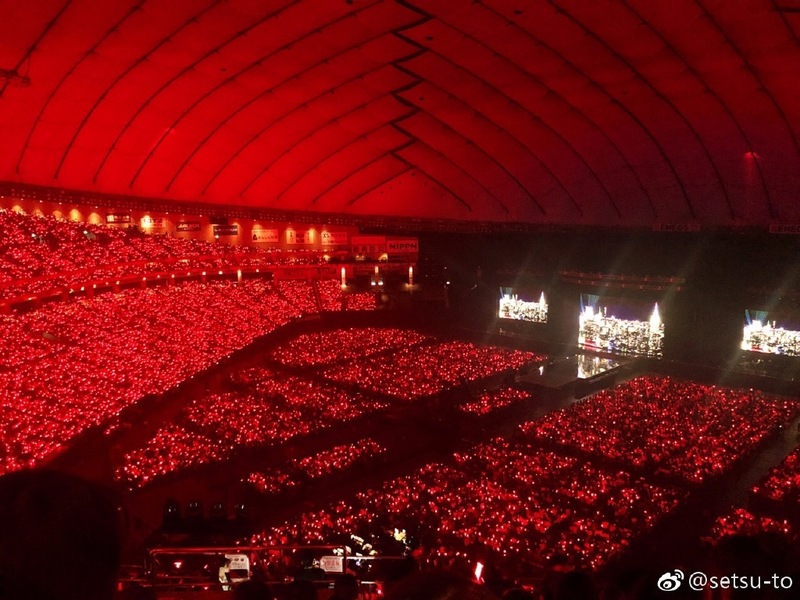 This time during encore, Tohoshinki, who always try to reach fans at the top faraway floors in the large venues, flied around Tokyo dome in what looked like blimps designed as ships *___*! !